Voice Description Clear, smooth, mid base, pleasant. Kaushik is a male professional voice artiste for Bengali. A Native Person born and brought up in Kolkata. 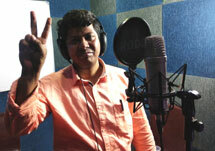 Trained voice over artiste from VoiceArtistes.Com Kaushik has done number of Bengali projects.